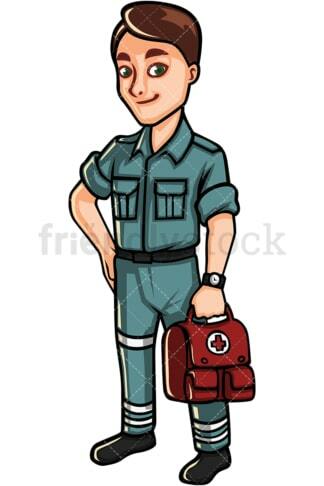 Royalty-free stock illustration of an ambulance worker holding a first aid kit, smiling and looking ready to save lives. 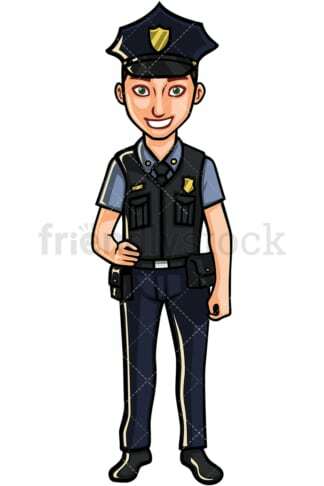 Royalty-free stock illustration of a joyful policeman on duty. Royalty-free stock illustration of a soldier of the United States armed forces, wearing a kevlar helmet and holding an assault rifle. Royalty-free stock illustration of a cheerful firefighter smiling and looking ready for action while holding an axe. Royalty-free stock illustration of a confident commercial airline pilot walking while smiling subtly. 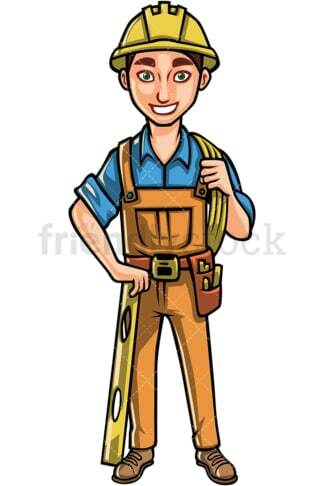 Royalty-free stock illustration of a smiling plumber holding tis tools and looking ready for work. 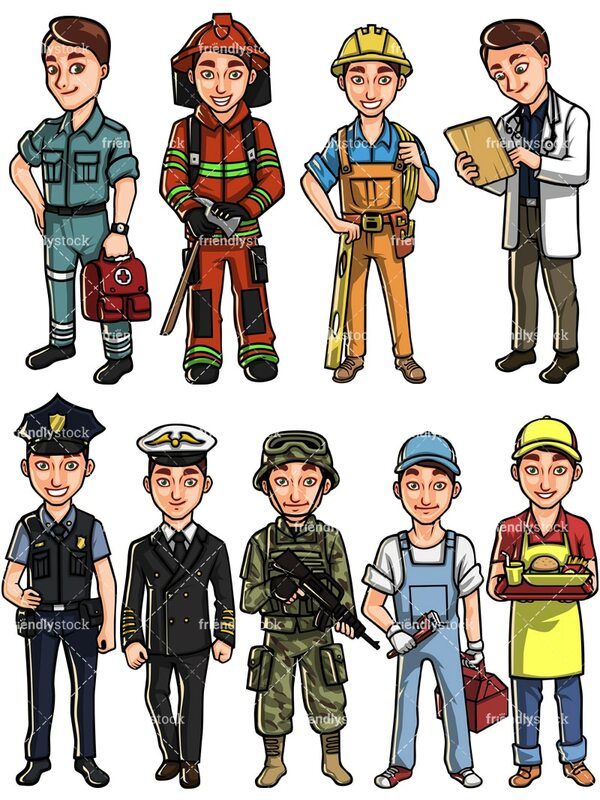 Royalty-free stock illustration of a cheerful man in construction gear wearing a hard hat. 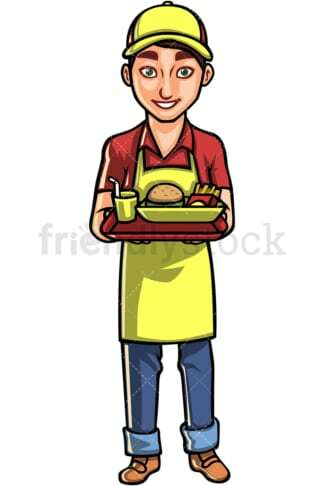 Royalty-free stock illustration of a waiter holding a tray with a hamburger, a soft drink and french fries on it. He is wearing a cap hat and smiles as he prepares to serve his customers. Royalty-free stock illustration of a doctor with a stethoscope around his neck, holding a clipboard.